Let's begin with memory consumption. worst - on 64 bits object is 8 bytes bigger than on 32 bits. It's because adding 4 bytes to header causes object is dropped into another memory slot, so we have to add 4 more bytes to fill alignment gap. best - objects on both architectures have the same size. It happens when on 32 bits we have 4 bytes alignment gap, which can be simply filled by additional mark header bytes. Above calculations shows us that real application footprint is in the worst case raised for around 50MB heap for IntelliJ and around 400MB for some huge, highly granulated project with really small objects. In the second case it can be around 25% of the total heap, but for vast majority of projects it's around 2%, which is almost nothing. I was expecting smaller overhead of 64bits JVM but benchmarks shows that even total heap usage is similar on 32bits we are freeing more memory on Full GC. Young generation pauses are also similar - around 0.55 seconds for both architectures. But average major pause is higher on 64bits - 3.2 compared to 2.7 on 32bits. That proves GC performance for small heap is much better on 32bits JDK. The question is if your applications are so demanding to GC - in the test average throughput was around 42-48%. Second test was performed on more "enterprise" scenario. We're loading entities from database and invoking size() method on loaded list. For total test time around 6 minutes we have 133.7s total pause time for 64bit and 130.0s for 32bit. Heap usage is also pretty similar - 730MB for 64bit and 688MB for 32bit JVM. This shows us that for normal "enterprise" usage there are no big differences between GC performance on various JVM architectures. 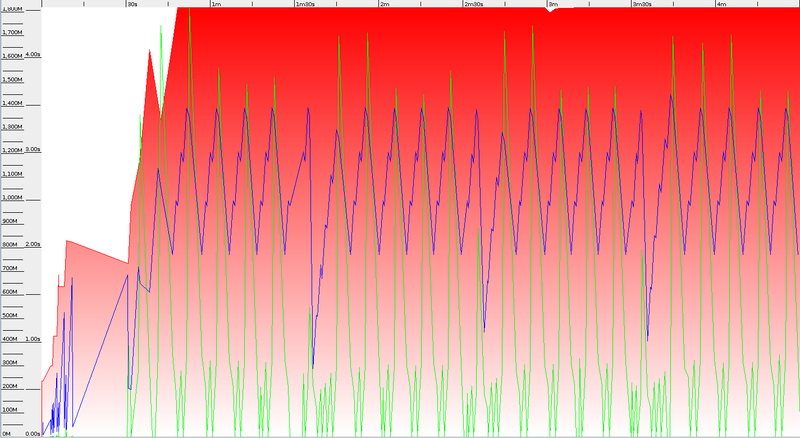 Even with similar GC performance 32bit JVM finished the work 20 seconds earlier (which is around 5%). It's of course almost impossible to verify JVM performance that will be true for all applications, but I'll try to provide some meaningful results. At first let's check time performance. As in the whole IT world we cannot answer simply - "yes, you should always use **bits JVM". It strongly depends on your application characteristics. As we saw there are many differences between 32 and 64 bits architecture. Even if JIT performance for long related operations is few hundred percents better we can see that tested batch processes finished earlier on 32bits JVM. To conclude - there is no simple answer. You should always check which architecture fits to your requirements better. 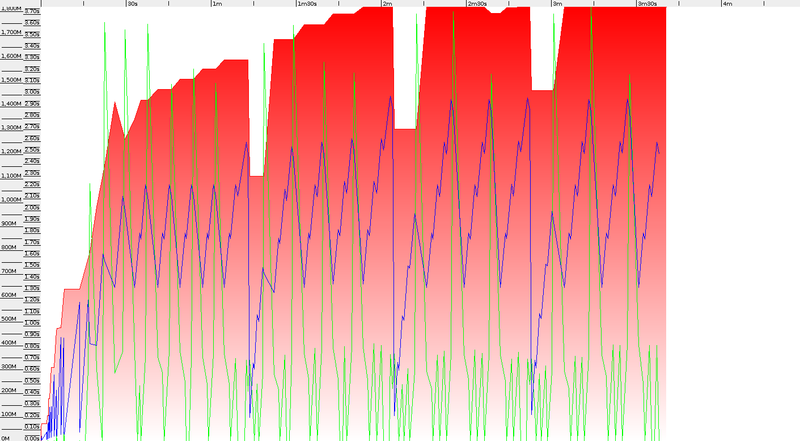 After all I decided to do one more performance comparison for different JVM architectures. Results are quite surprising. That shows us the 32 bits architecture gives us around 23% boots compared to 64 bits. Considering that all we've to do is to change the JAVA_HOME it's pretty nice. I've also run tests for Apache Maven on Spring Boot sources. Running builds on Maven 3.3.3, same Linux kernel and same JVM shows that there's totally no difference between different architectures. That's not what I've expected but I've run those tests many times with very similar results. I assume it's something more related to particular project than to build tool. Of course it's not sure that for all projects we will get (or not) same improvement, as it depends on the particular sources, tests, etc. To get some meaningful conclusions we should measure many different projects, but it's not something I'm gonna do in this article. I just wanted to show it's worth to check if your projects won't compile faster on 32 bits architecture. Because when it does it could be really cheap and significant improvement.